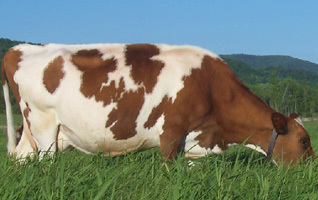 Raw milk is the natural unaltered milk usually from cows, goats or sheep. It is not heated above the animal's highest body temperature which is usually 101-105 degrees F (38 degrees C). Raw milk is not pasteurized, homogenized or frozen, nor has it been altered with additives, chemicals, light or homogenization. At Bear meadows farm the cows are part of the family. Our farm has a rich history originally being built in 1835. 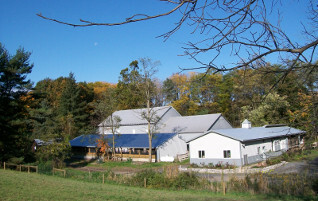 The farm has been run by the Biddle family since 1959. You can read more information about our farm on our Farm page. 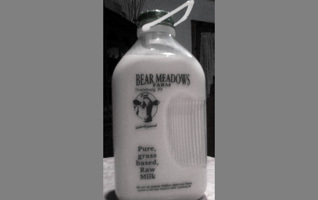 Bear Meadows Farm is a locally-owned farm selling raw milk and eggs. We have been permitted for raw milk sales since 2009 and since then we have been selling raw milk to the greater State College, PA area. Raw milk is creamier, better tasting, and not processed to destroy the fragile components that nature intended in the milk. Our cows are grass-fed. Raw eggs are harvested daily from our free-range chickens. Our eggs are fresh the day you buy them and have a better taste than store-bought varieties. Try Raw Milk and Eggs and never go back. Enjoy raw milk free of processing and full of the flavor that nature intended. Our girls are part of the family. Our farm has a rich family-owned history.